I had my first visit to West Virginia when I went to see my good friend for some much over-due girl time. I arrived on Friday afternoon and we kicked off our weekend with some manis and pedis. Since the weekend would be full of new adventures, we fueled up with some gluten-free pizza and vino! On Saturday we drove to Blackwater Falls State Park. The park offers lots of hiking trails and scenic overlooks. 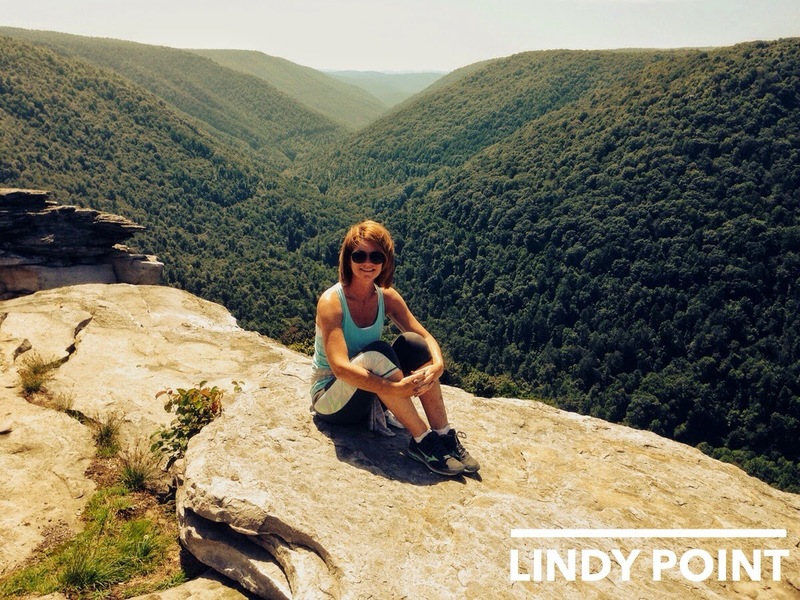 We decided to do the Lindy Point Trail. 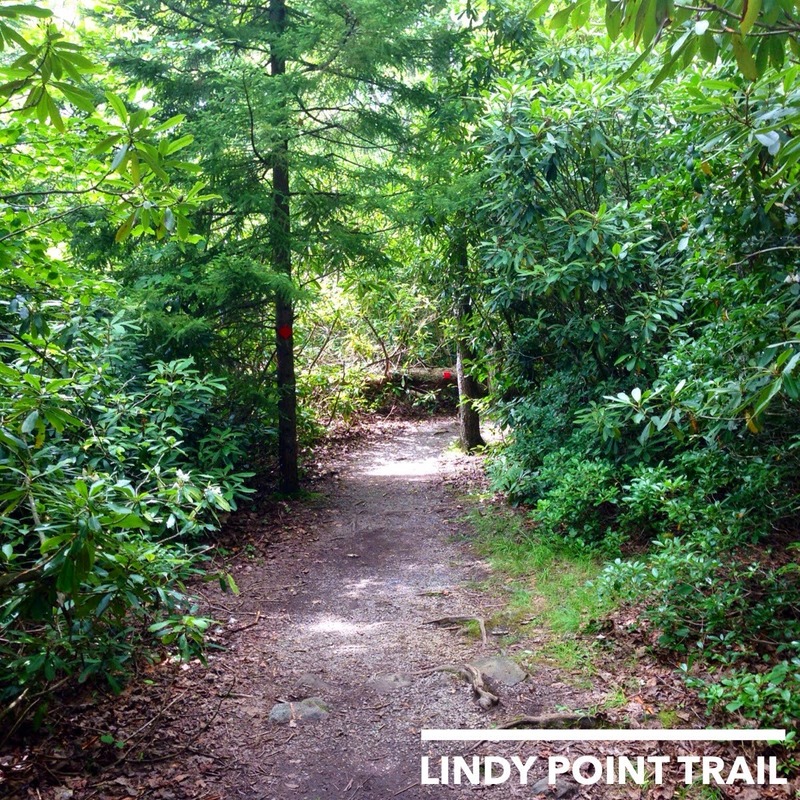 It was a beautiful trail with rhododendrons flanking both sides. Just before leaving for WV, the FlipBelt I won from Fairytales and Fitness arrived. It was perfect for storing my phone during the hike. My friend liked it so much she ordered one for herself and her mom! 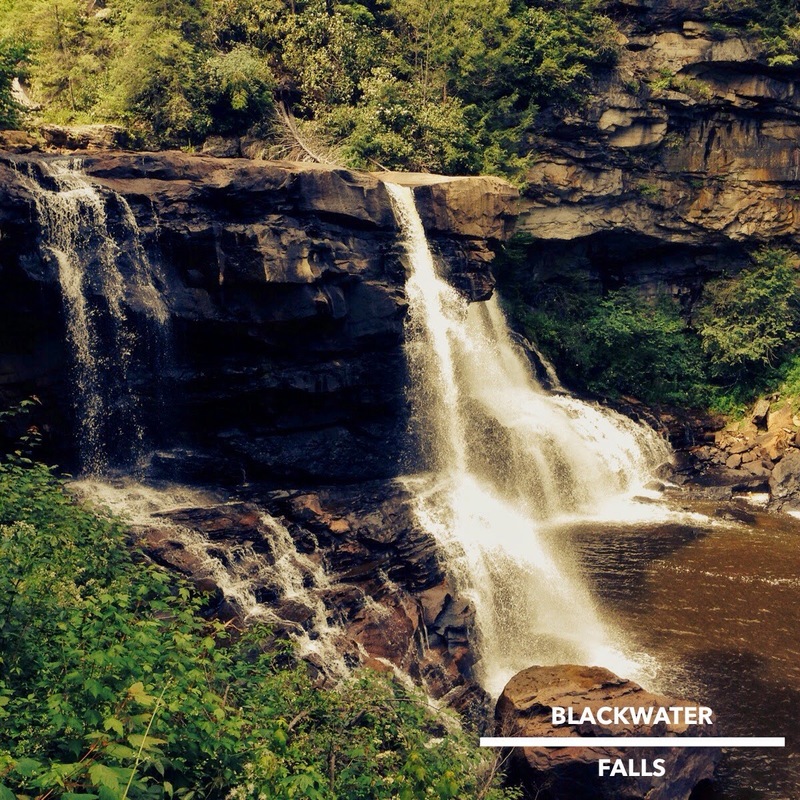 215 steps down to view the Blackwater Falls. 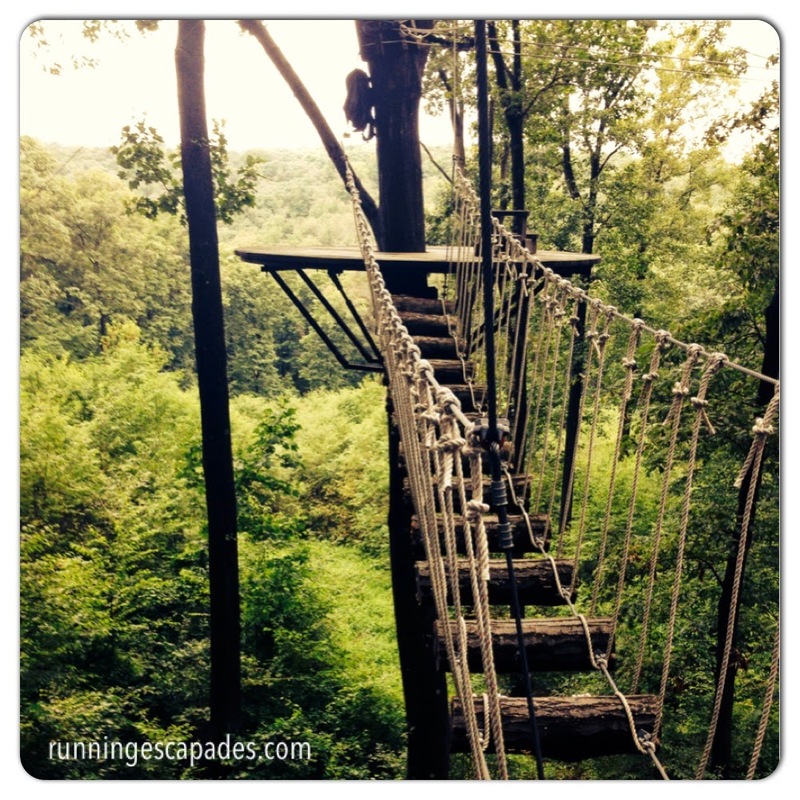 On Sunday we drove to West Virginia University's Outdoor Education Center in Morgantown for some zip lining. 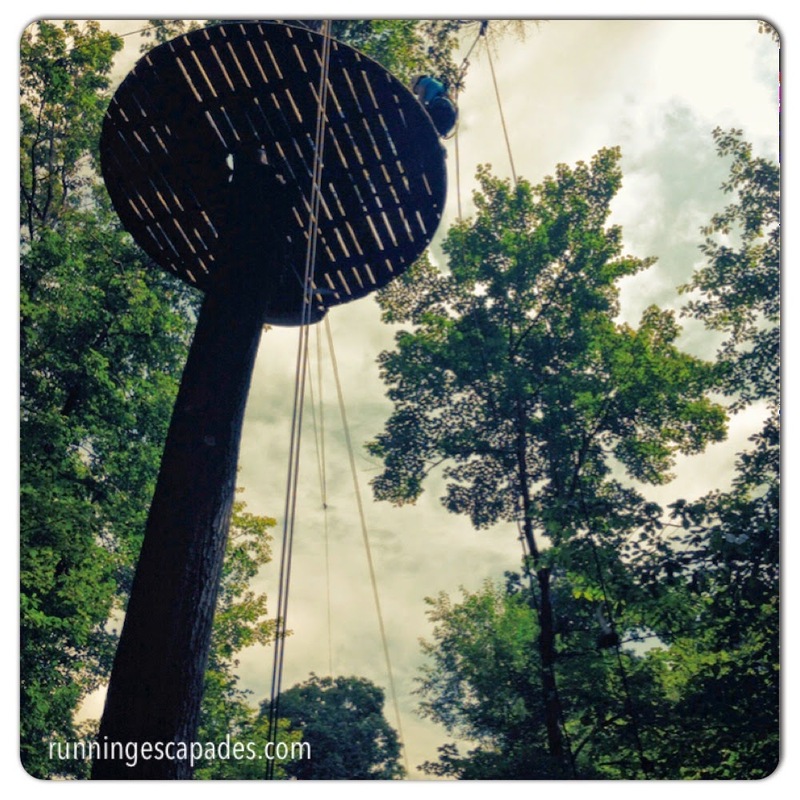 After a brief summary of the course and filling out paperwork, the instructors got us into our harnesses and took us through a mini-lesson on the how-tos of zip lining. 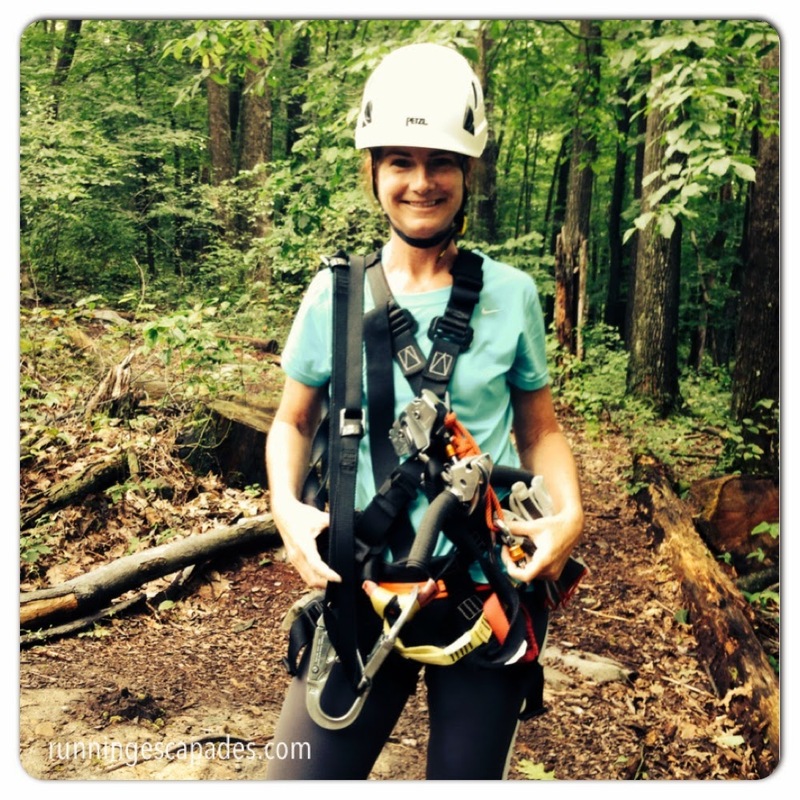 Zip lining is a total body workout. 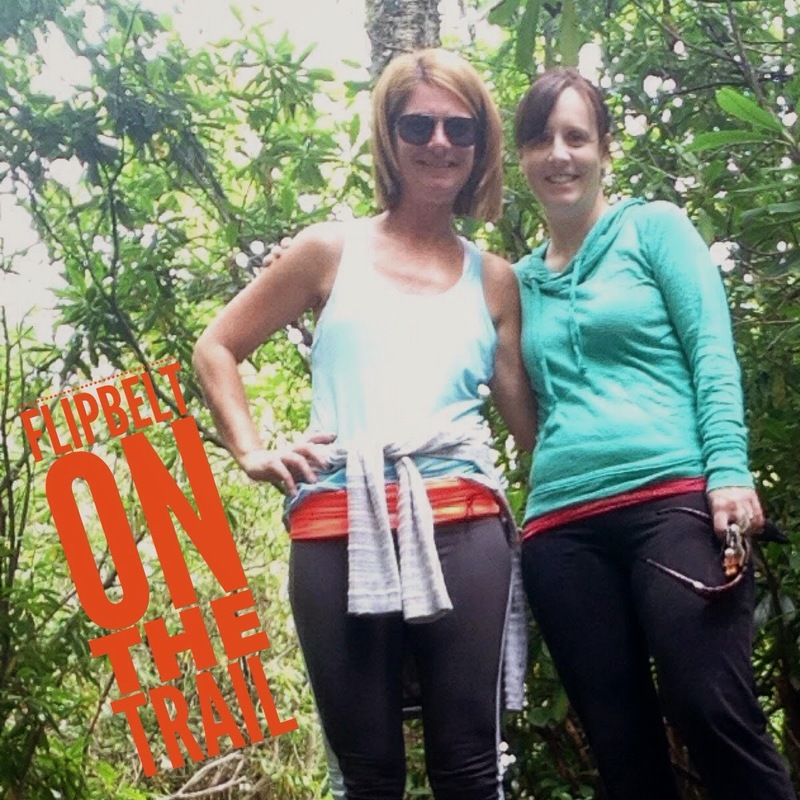 Between hanging on to the bars (arms) and holding up your legs (core) and hiking (legs), we were worn out…but still smiling! Have you been on any outdoor adventures lately? 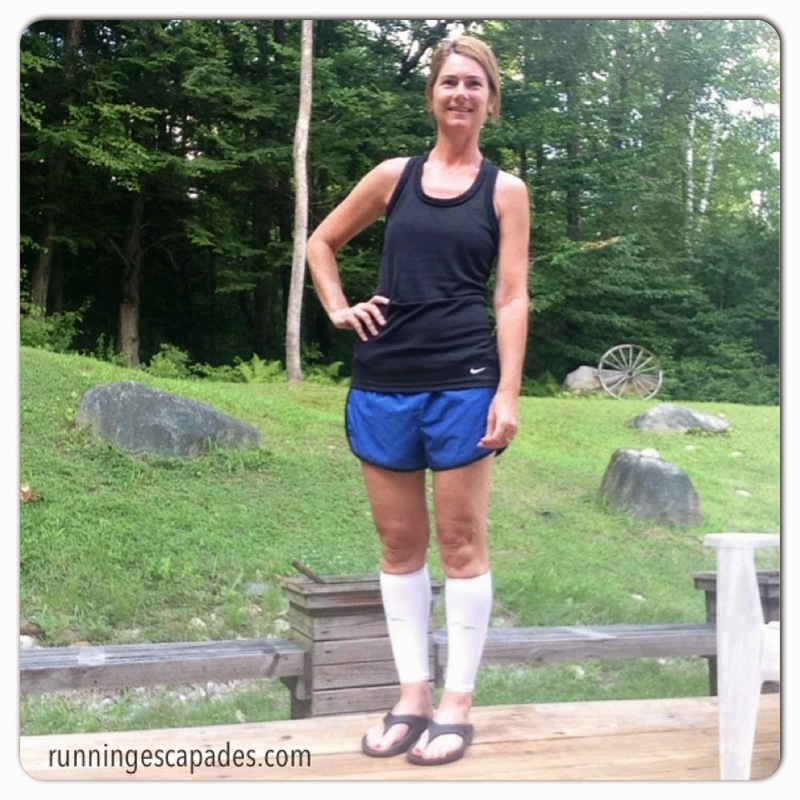 My goal for week two of my ZOOMA Cape Cod half marathon training was to get in my mileage before heading to West Virginia on Friday for a weekend visit with one of my best gal pals. It wasn't easy to squeeze everything I wanted to do in around the other things I had to do, but I did it. 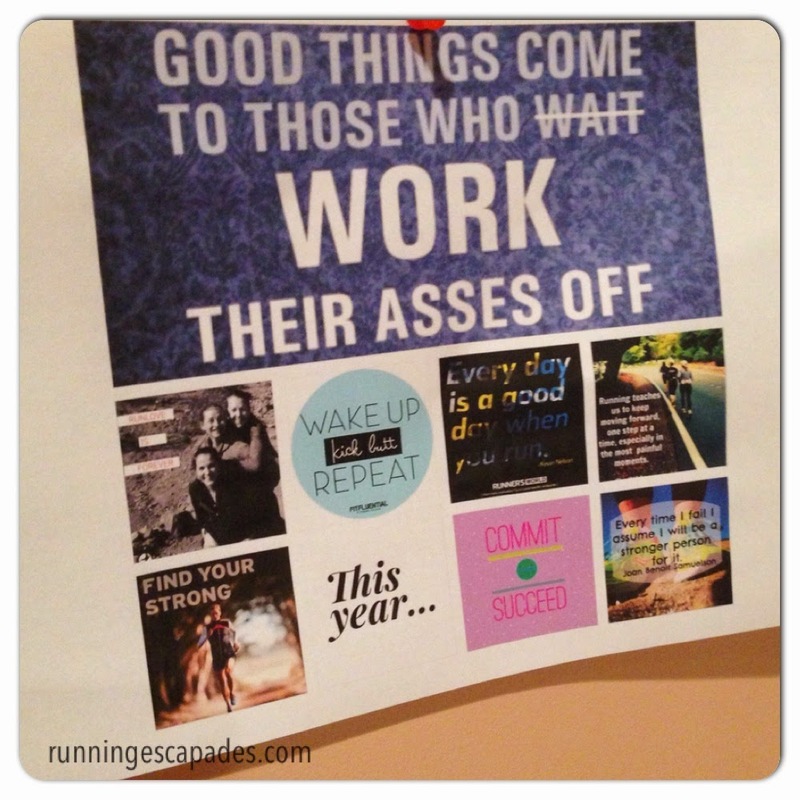 Looking at the vision board I made as part of the 30 Day Fitness Challenge (details here) gave me inspiration. As the weeks start to pass and mileage continues to increase, I'll be making recovery part of my daily routine. 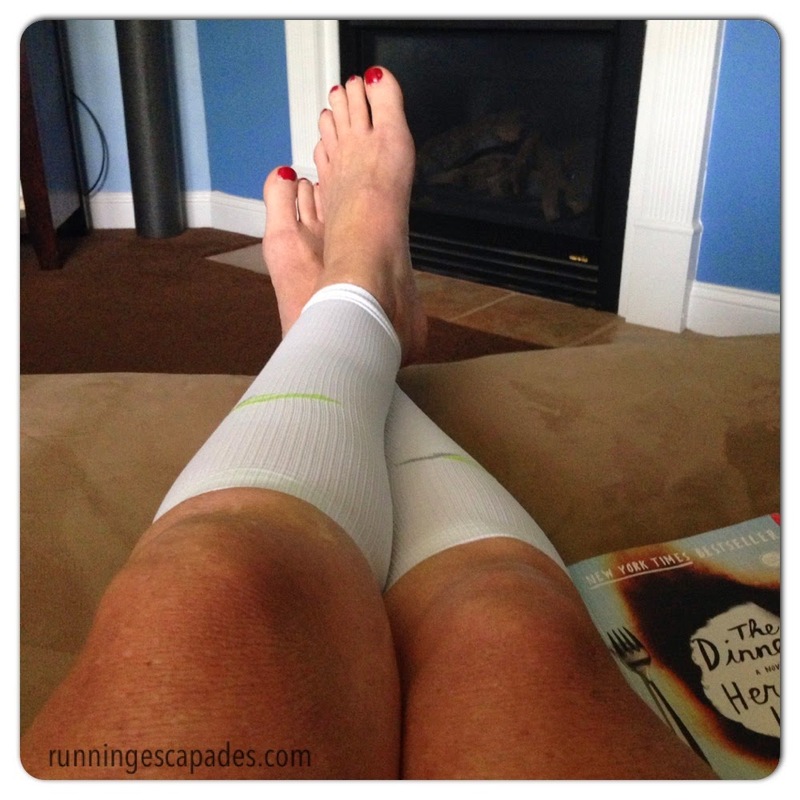 One easy way to do that is wearing the compression sleeves I received from Pro Compression to try out as part of a Sweat Pink Ambassador campaign. Ready for my next workout! If you're looking for no hassle compression sleeves or have been wanting to try them, use code PINK to get 40% off your entire purchase at Pro Compression. A support shoe that is also light weight? 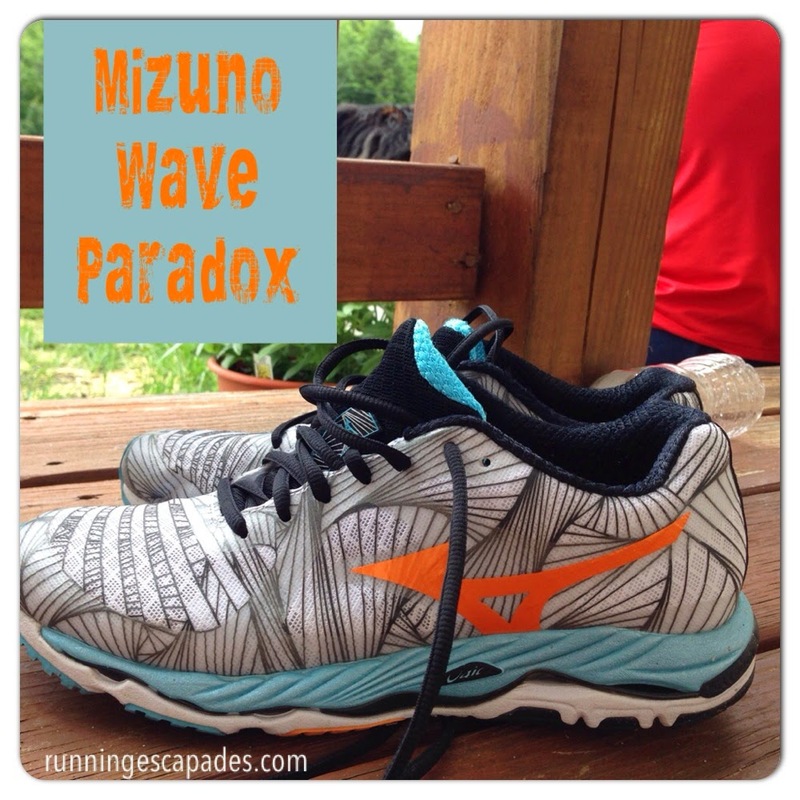 That is exactly what Mizuno created and aptly named the Wave Paradox released in January of this year. 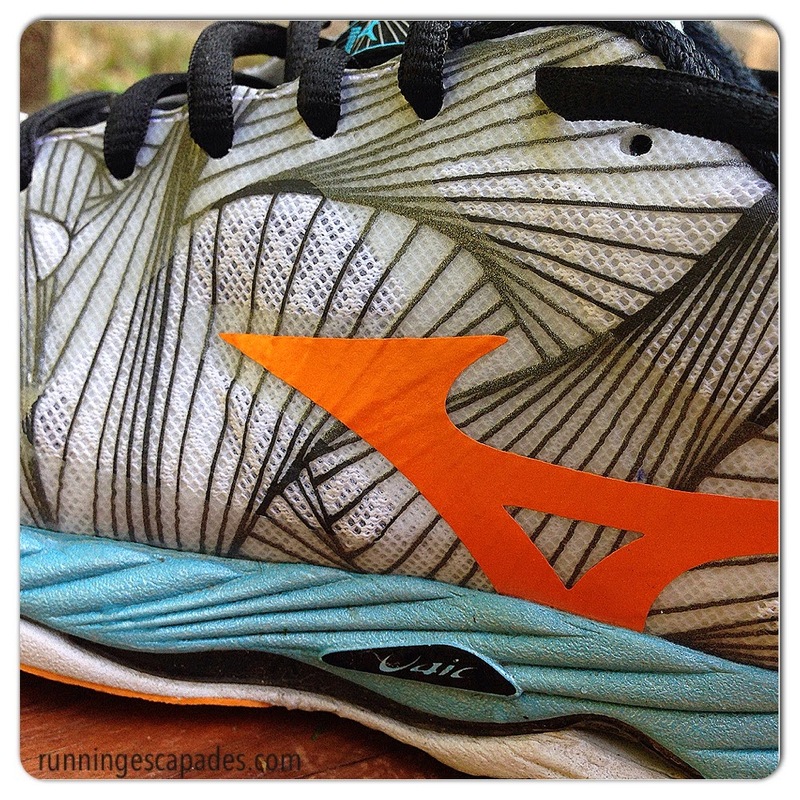 A month ago I received a pair of the Wave Paradox from Mizuno to try out. 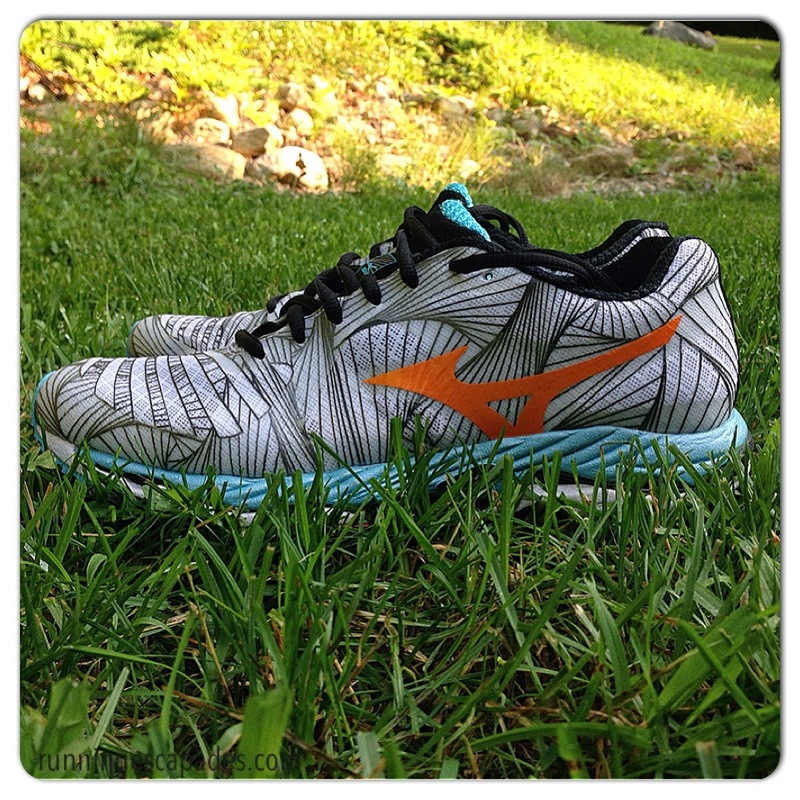 The Wave Paradox is a new shoe in the Mizuno support lineup. At first glance they look like they might be heavy. They are not. I was intrigued by how a shoe could look so meaty yet be so lightweight, so I did some research. According to Mizuno, they applied lightweight construction to everything they knew about control to create this 8.6 oz support shoe. Most of the support comes from the double fan wave of the heel. If you're not familiar with Mizuno's wave technology, it works like your car's suspension - absorbing the force and spreading it out when your feet hit the ground. 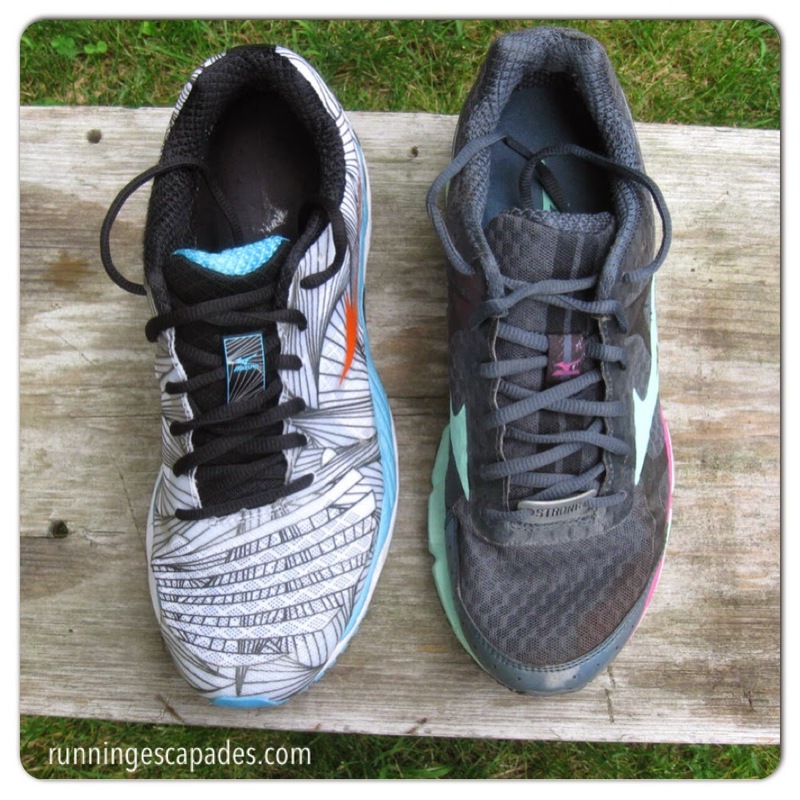 The wider heel and forefoot gauges also offer stability, although that big gap just eats up rocks. Since I live in the land of no sidewalks, my Wave Paradox gobble up stones like the Cookie Monster. The upper is inspired by a Japanese doodling technique and looks like curved lines, but up close you can see that the lines are actually straight. 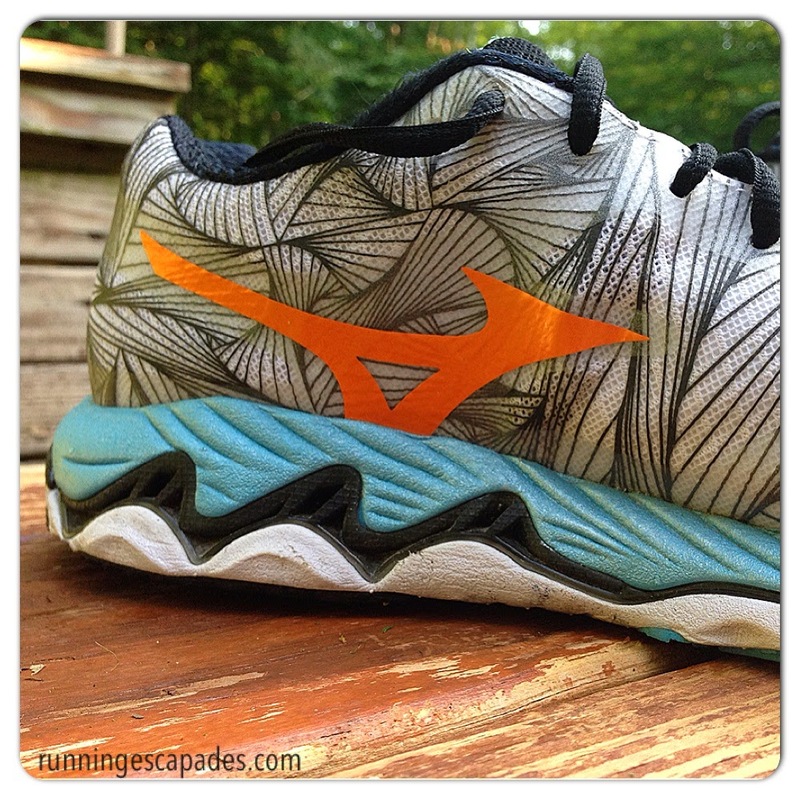 While I'm on the topic of appearance, when it comes to color combinations, Mizuno nailed it. Not only do the colors look good, but the their representation of energy (orange) and stability (blue) reinforces the whole idea of paradox. 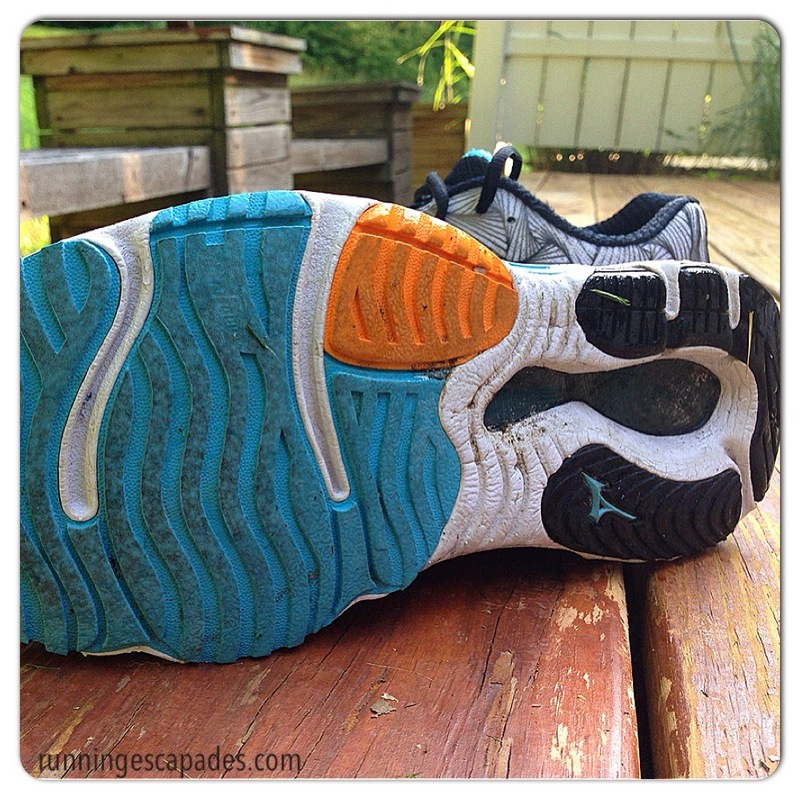 This shoe is very different than the neutral Wave Rider 17 that I was wearing previously. 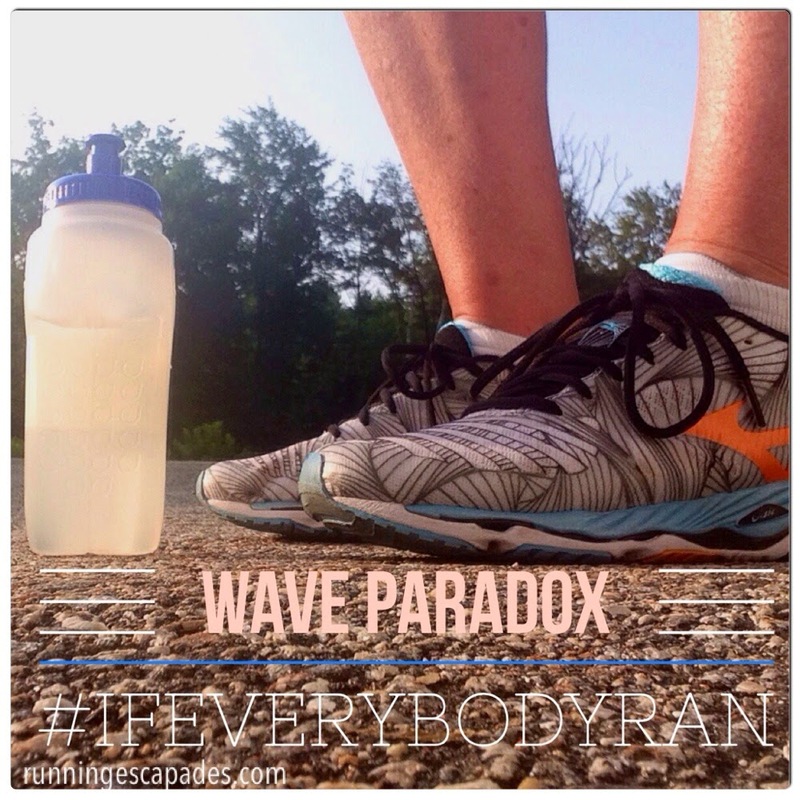 Since it works for me, I'll be keeping the Wave Paradox in my shoe rotation. What type of shoe do you usually wear? 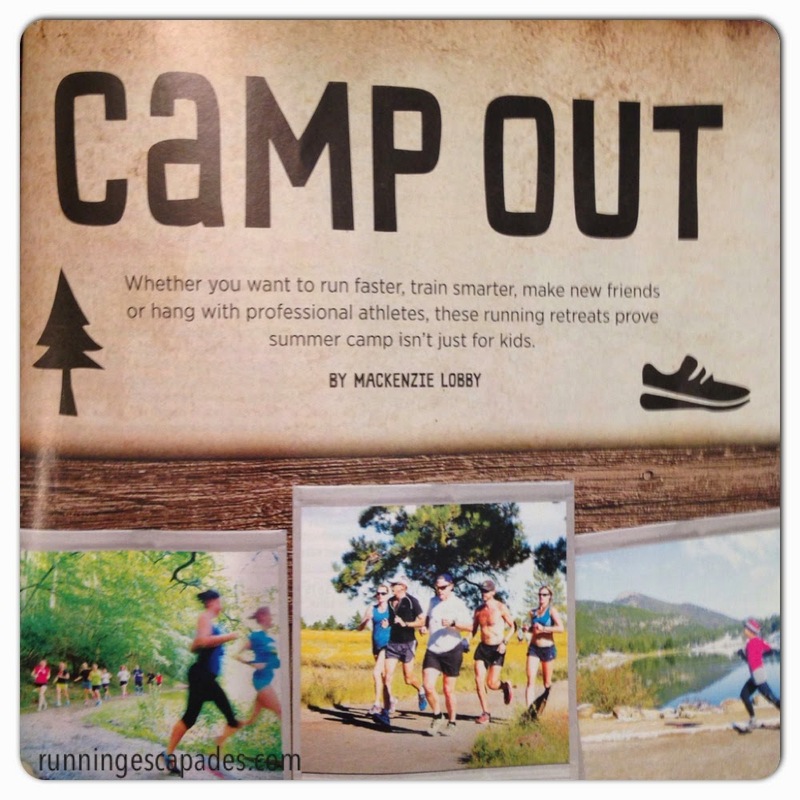 I read an article in the August issue of Women's Running Magazine about adult running camps. I am by no means a camper. I do not like bugs or sleeping outside. 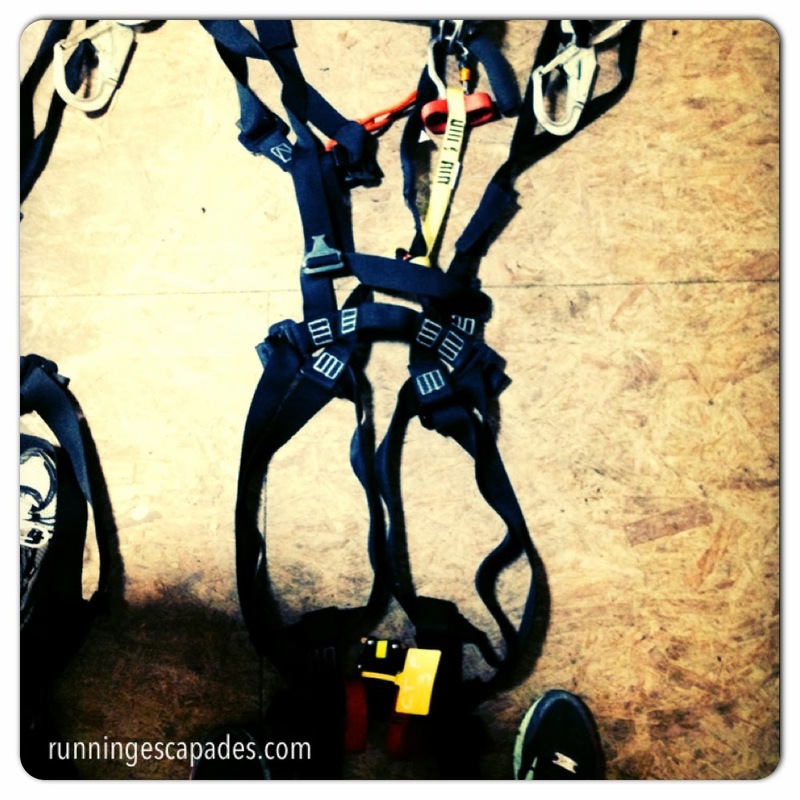 I am a runner who likes to travel, go on adventures, and try new things. These camps are for people like me. More like retreats with a bunch of running activities. Not sure of the 2014 dates?? Packages are all-inclusive: room, meals, coaching, facilities use, trips. At first look these camps seem expensive, but when you take into account what's included (board, meals, coached running, extra activities), it's approximately the same price as your average vacation. I'm putting the weekend Foliage & Running Camp at Craftsbury on my bucket-list. 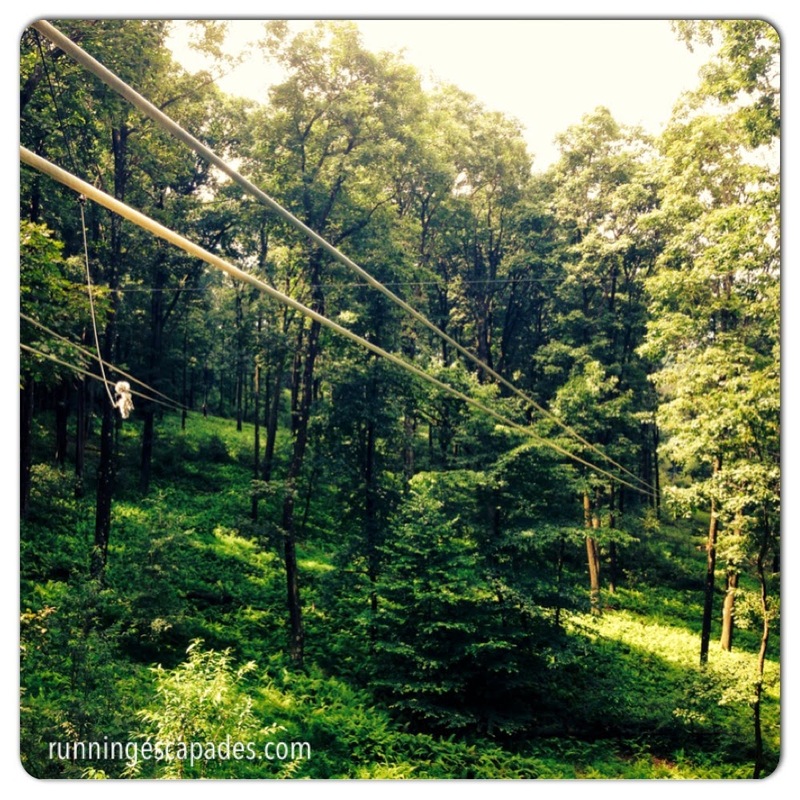 Would you ever attend a running camp? A few weeks later than I probably should have, I officially started training for the ZOOMA half marathon in September. 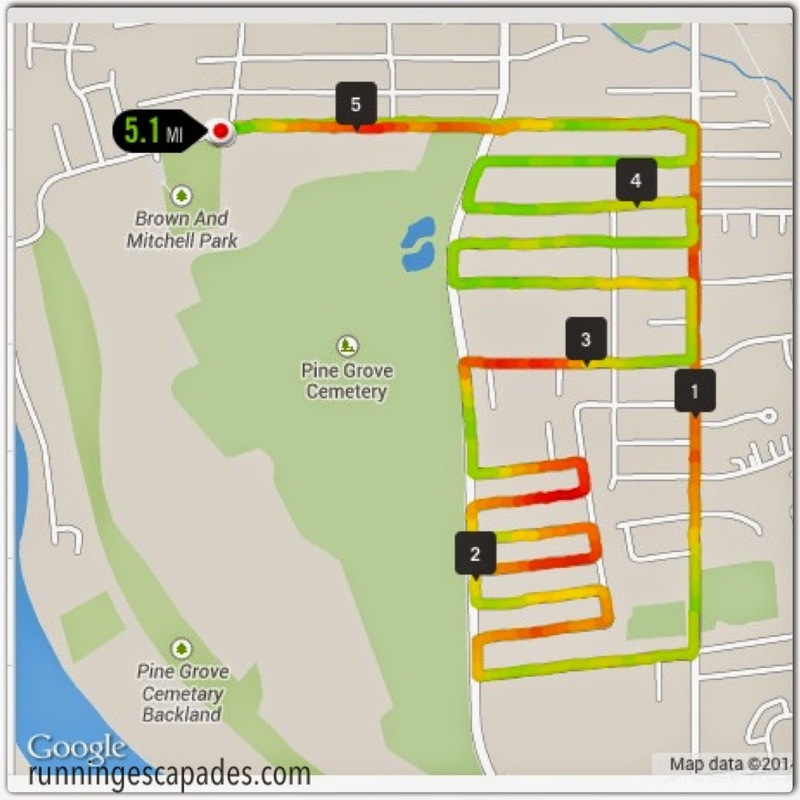 I'm using my Nike running app Coach option for my training plan. 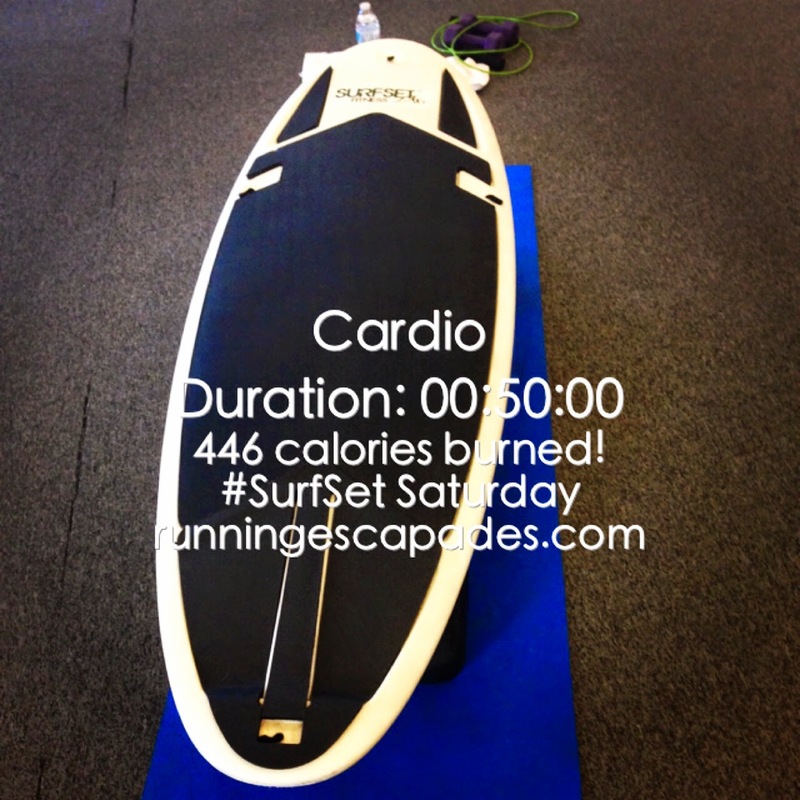 Since I haven't been racking up the miles lately I chose the beginner plan. 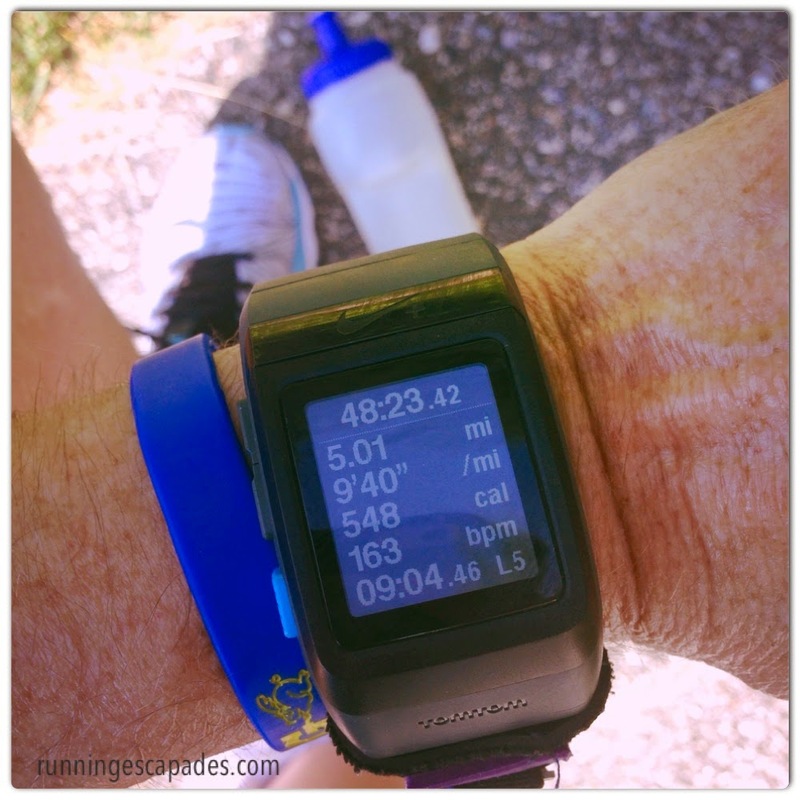 Week 1 was manageable and I used the 13 miles as my Summer Run Challenge goal. Good thing I did my cross-training on Monday, because I followed that with an afternoon trip to the doctor where I received another cortisone shot for the torn meniscus and it came with two days rest. 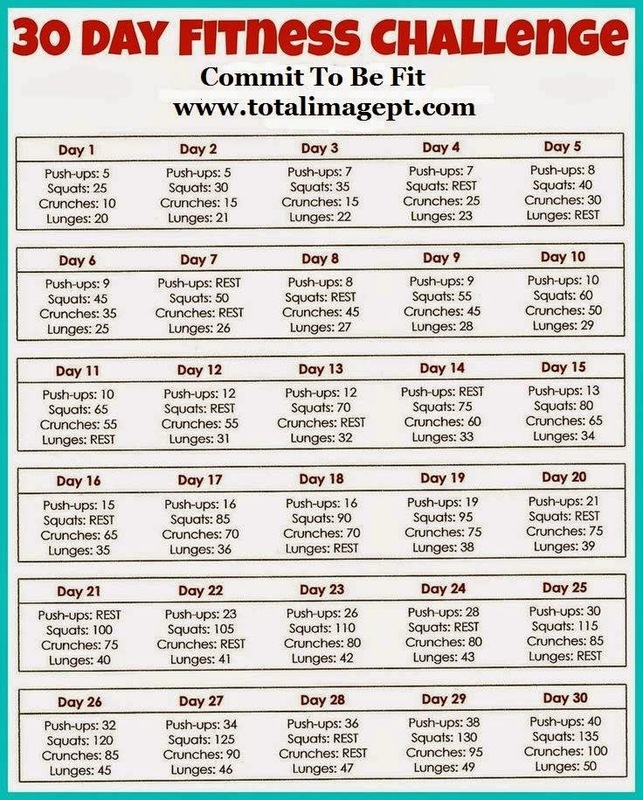 I walked 30 minutes on the treadmill and did the 30-day challenge daily exercises. 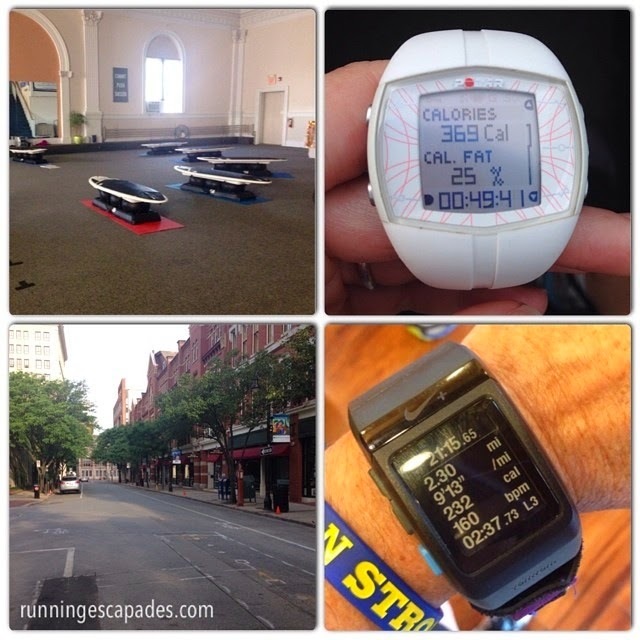 My ZOOMA Cape Cod half marathon training kick-off week was a success. 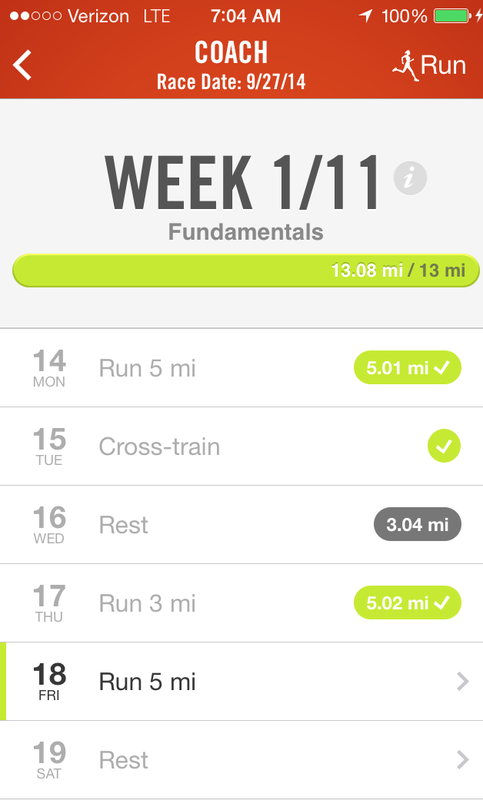 Week 2 starts today and I am really hoping to stay on track with my mileage. Even though I returned from vacation and resumed my running and cross-training activities, my angry knee needed some attention. 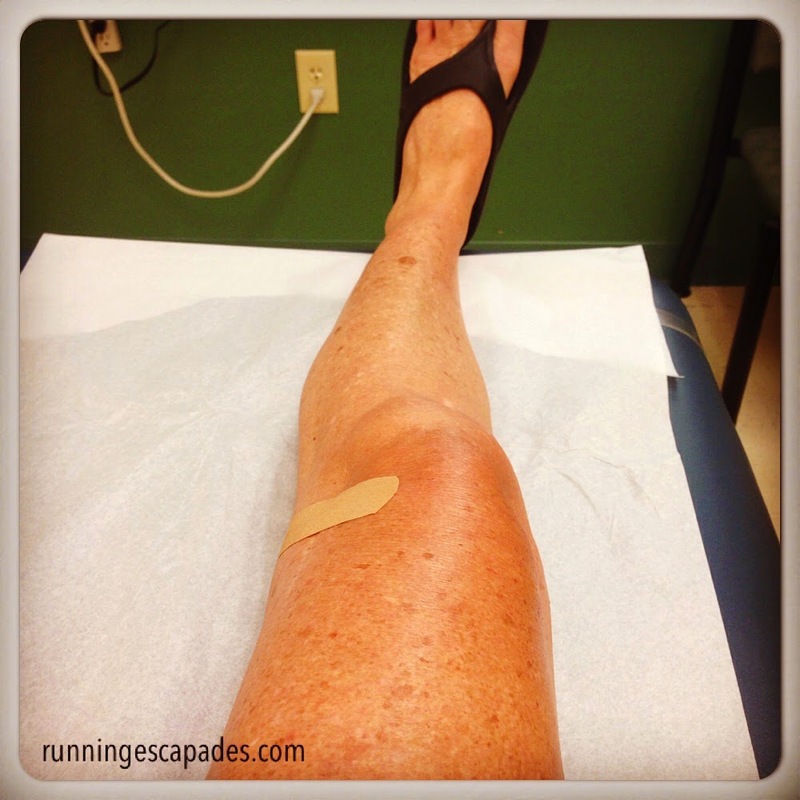 A trip to my doctor on Monday resulted in another cortisone shot and two days of rest. 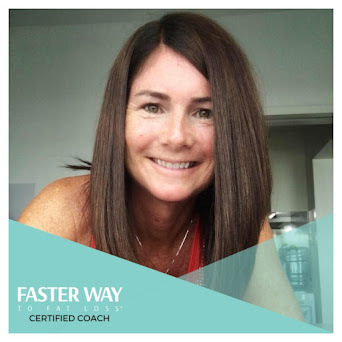 Needless to say I was super excited to see a 30 day challenge invite from Sarah, one of the co-owners of TI Fitness where I go for SurfSet, and it started on Monday. I really like challenges that use a progression approach to the same set of exercises. This way I can feel and see my improvements through the 30 days. 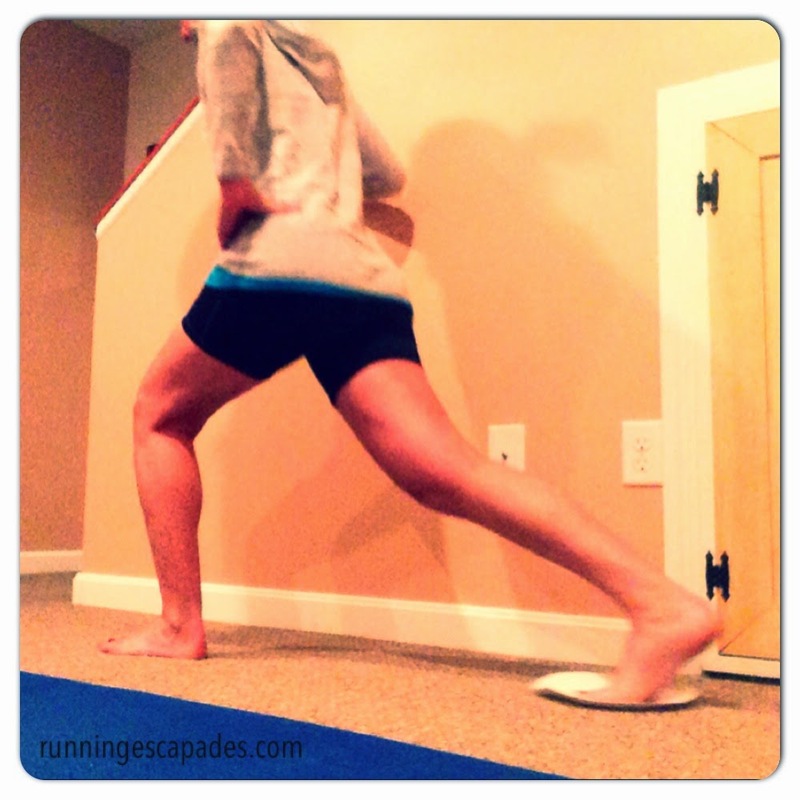 These are also relatively low impact exercises, although I had to modify the lunges to be paper plate sliders to let the cortisone do its thing in my knee. The other great thing about this challenge is that you start it at any time! 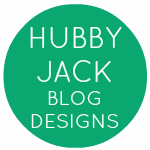 If you are looking for some online support, Sarah has created a Facebook challenge group here. 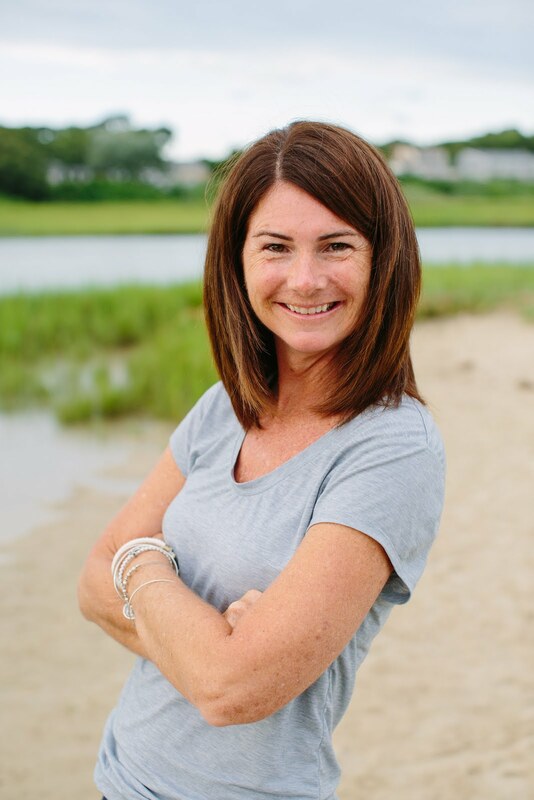 In addition to posting reminders and motivation, she is sharing daily challenges that focus on diet, fitness, or mental health. The challenge is open to everyone, just request to join the group! What workouts are you loving right now? Before going on vacation at the beginning of the month, my torn meniscus was feeling yucky again, so I booked a doctor's appointment for today to see what my best options are at this point. Being in steamy hot Texas and busy with family and friends in Ohio forced me to take more rest days than I probably would have, but it did a world of good. My normal reaction to an extended amount of non-running is PANIC! I hate missing workouts, even when I'm hurting. Anyway, while my knee is being a little cranky, I have been able to workout. 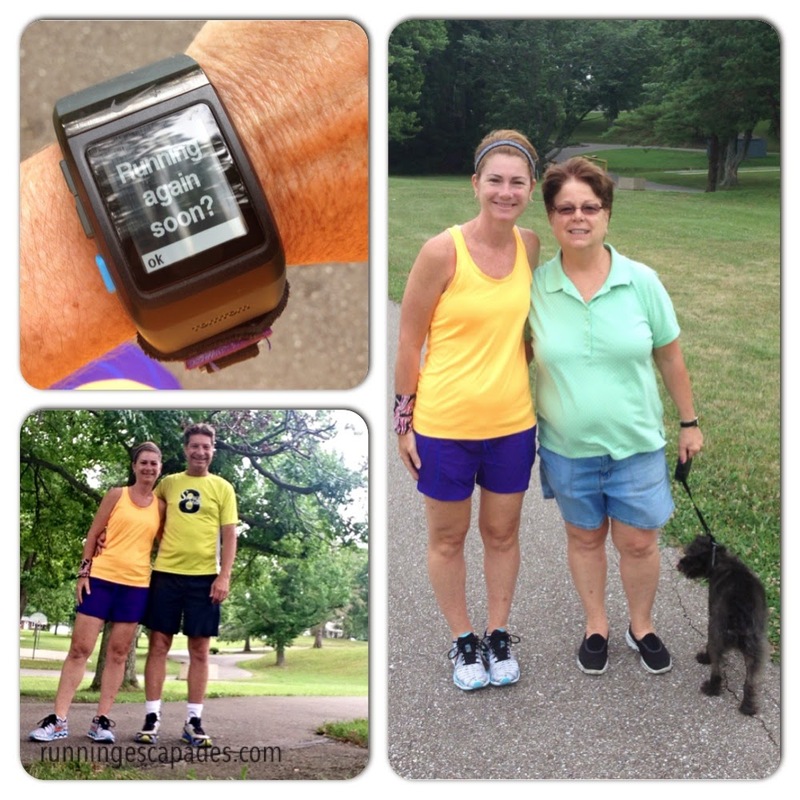 My Summer Run Challenge goal was 6 miles, and I ran 7 miles! How do you react to unexpected rest days? Before leaving for a multi-stop 9 day trip last Wednesday, I tried to get in as many workouts as I could. My knee wasn't too happy about that and I left NH without doing my last run. Our first stop in steamy Texas for middleCs BMT graduation was way too hot to run, not that my knee was ready anyway. 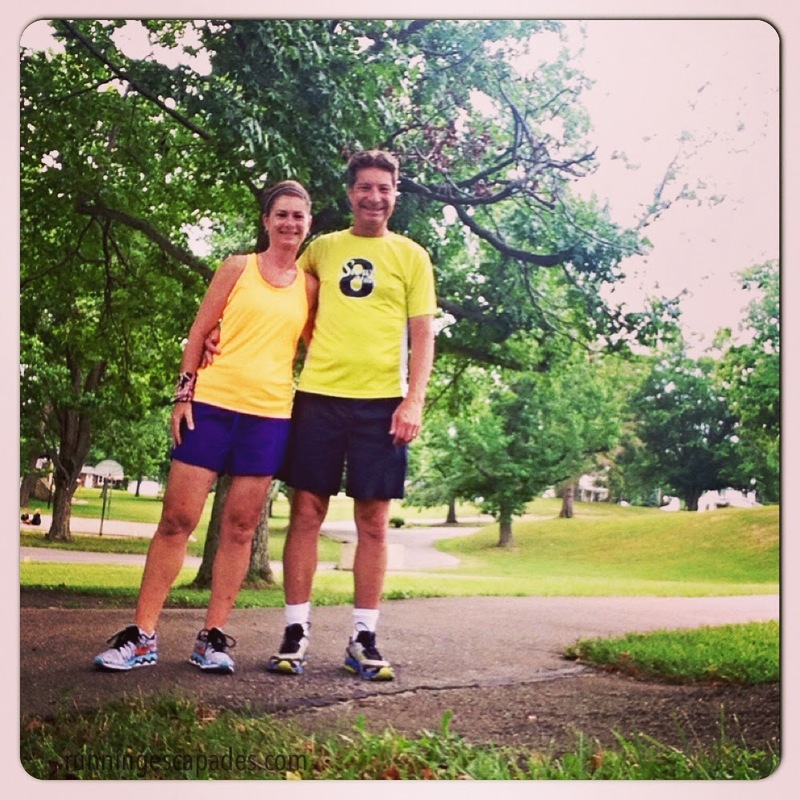 After a couple of rest days and swimming, I went for a short run during our visit in Ohio. Hopefully the extra rest days are just what my knee needed and I can get back to training for ZOOMA Cape Cod in September.